What a beautiful photo, Frank! It must be going after something that really likes shallow water though–could be a muddy meal! Fabulous shot! Really great capture! 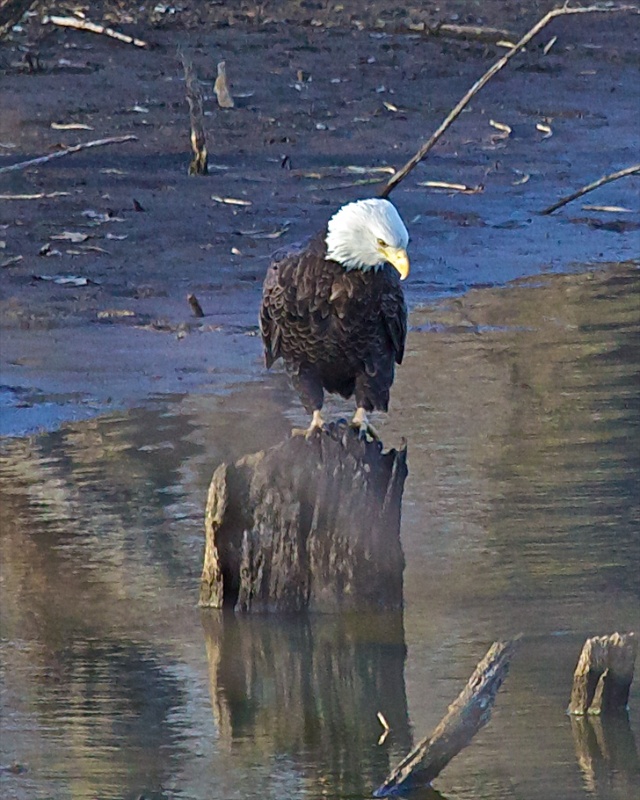 That ole Eagle is a grand Bird–good pic pard!!!!!! !